TRIBUTES HAVE BEEN paid to John Dowling, the Irish lecturer stabbed to death outside a university in Paris yesterday. 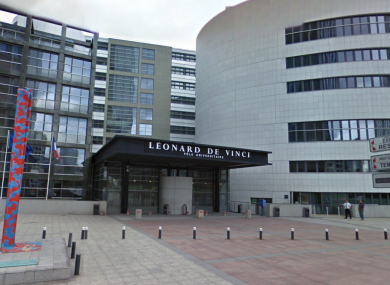 The 66 year-old died at around 12:00pm after being stabbed a number of times outside the Pôle Universitaire Léonard de Vinci in the purpose-built business district of La Défense to the west of the city. He was an English language teacher at the school, where he had worked since 1999. It is understood he was set to retire next year. A police source told AFP that a former student at the university, who was born in Pakistan in 1981 and was not previously known to police, remains in custody and is still being questioned. Students outside the university paid tributes to Mr Dowling yesterday, showing photographs of him on their mobile phones, smiling with members of his class. His classmate Jad Sharif, a 33-year-old from Lebanon, described Mr Dowling as “very kind”. The Department of Foreign Affairs said it is aware of the case and was providing consular assistance to the family. Email “'He was so kind, we can't believe it': Tributes paid to Irish lecturer stabbed to death in Paris”. Feedback on “'He was so kind, we can't believe it': Tributes paid to Irish lecturer stabbed to death in Paris”.